While I can admit that I easily will procrastinate and ignore things that need to be addressed (chores, cooking dinner, paying bills- and I’ve even taken personal days from work for a good book) - I will acknowledge that the first books I open in the morning are my devotionals and Bible. I can’t start my day, regardless of what I may or may not intend to do, without them. Even when my plan is to sink into my hopeless romantic novel, I begin with the ultimate romance novel: the one where Christ gave everything up because He loved me. I know it sounds trite, but it’s true. Believe me when I say that getting lost in His Word far outweighs being lost in this world. And like my fictional romance novels, I can easily spend hours reading my Bible; not that I do that very often. Usually my weekends allow me to devote more of my mornings than usual to delve into His Word (and naturally enjoy more coffee as well). And that’s the beauty of the Bible as well. When consumed by His Word, it’s easy to see how trivial all we are encompassed by in this world really is. We’re reminded that there is a greater story and character than our own. And the ‘here and now’ of this world is nothing compared to the ‘there and then’ of eternity. And just like when I finish a phenomenal book (the type that causes me to call off work and keeps me in my pj’s all day) that leaves me rejuvenated and wanting for me, so it is when I read His Divine Book. 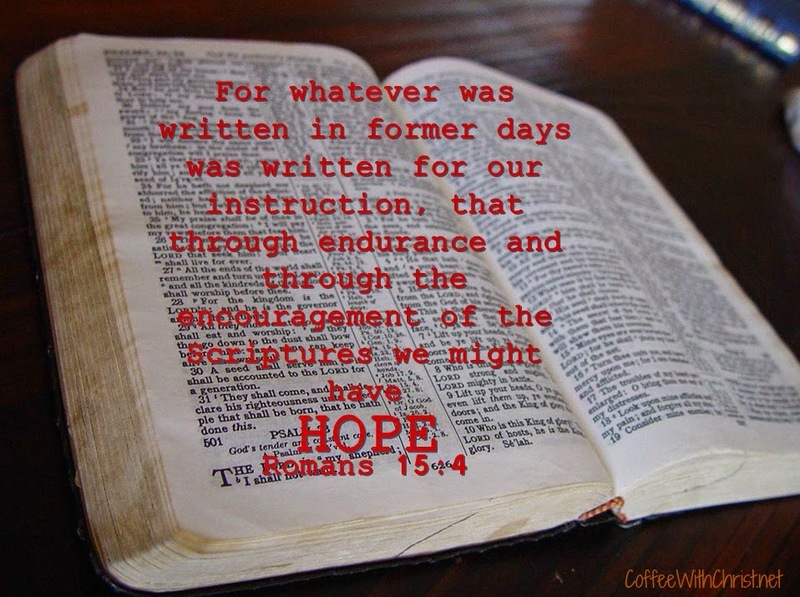 The hope that is given to us through His Word is a complete and total transformation from the hope in this world. There is nothing of real value ‘here’, the true value comes ‘then’.